The results of the Miss World 2018 fast track events are now out, causing a major shake-up in our Fourth Hot Picks. 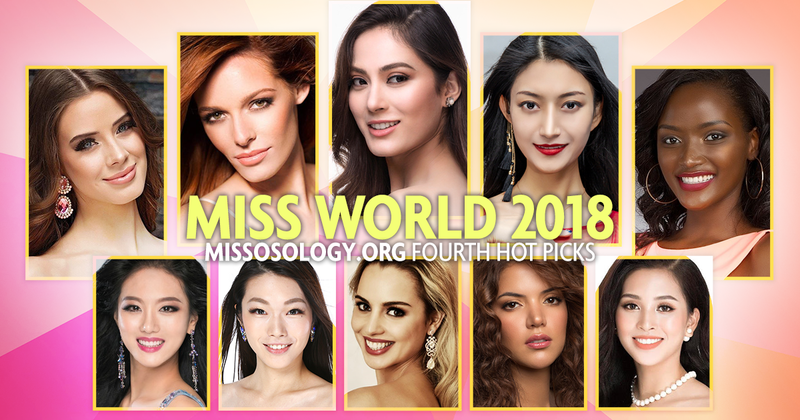 From the 15th spot, Nepal‘s Shrinkhala Khatiwada now sits atop our current leaderboard after winning the Multimedia challenge and the all-important Beauty With A Purpose fast track. 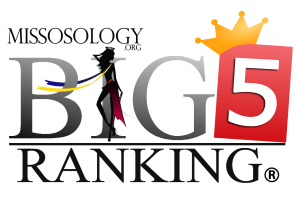 Top Model winner Maëva Coucke of France remains in the Top 5 at number 2, while Top Model and Talent challenges runner-up Peirui Mao of China is now up at number three. 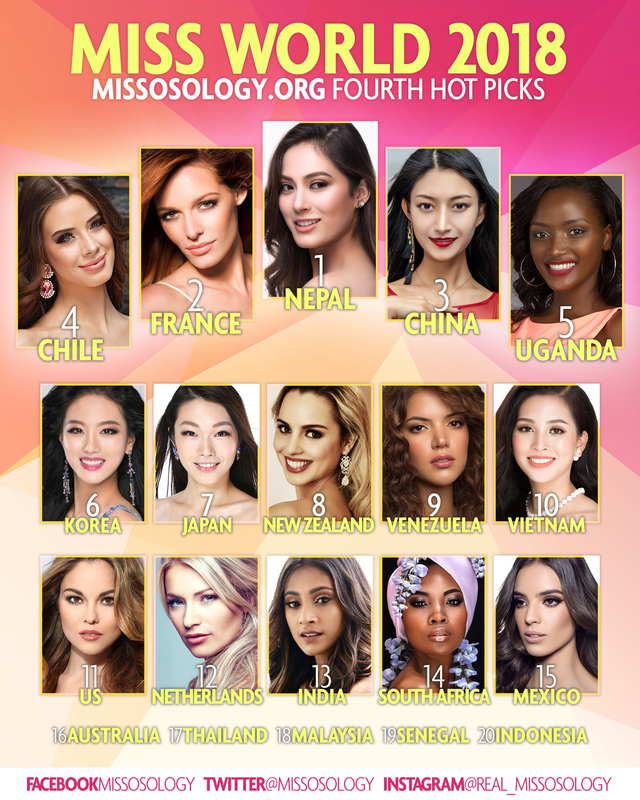 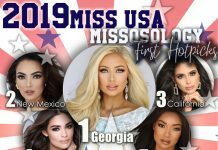 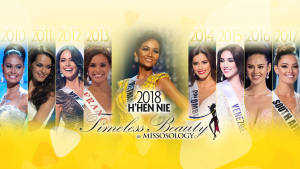 Chile’s Anahi Hormazabal, who secured a Top 30 placement via the Head to Head challenge keeps her place at number four, while Uganda‘s Quiin Abenakyo is now in fifth place following her historic win (Top 30 placement for the first time in the pageant’s history) in the Head to Head challenge.